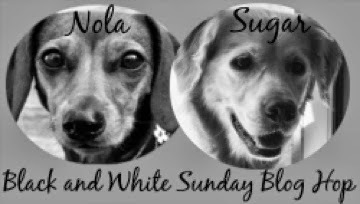 We are happy to be joining Sugar the Golden Retriever and Dachshund Nola for their Sunday's Black & White Blog Hop. Click their names to visit them and all of the other great B & W blog posts. Handsome boy! Have a nice Sunday! Bassets are photogenic from any angle! 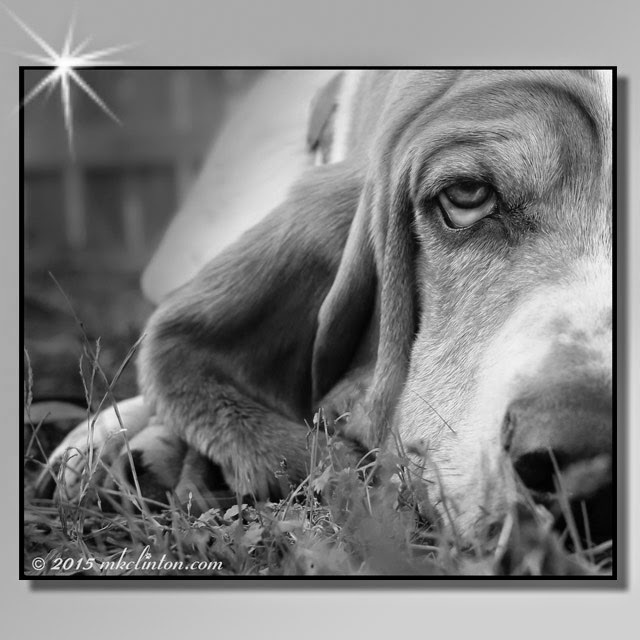 Oh, what a handsome K9 model you are, Bentley! What a wonderful close-up, very nicely done! You are looking sorta Sad today buddy. What a great photo of Bentley. Bentley you are just adorable!! Oh wow, your photos are getting more & more artistic & beautiful! This one's incredible. That looks like a sleep bassett! Bentley is so good at close-ups. I love that frame! Such a great photo - thanks for sharing.